Super blue blood moon awes, Paris river banks burst, Blue Ivy takes the Grammys and more. 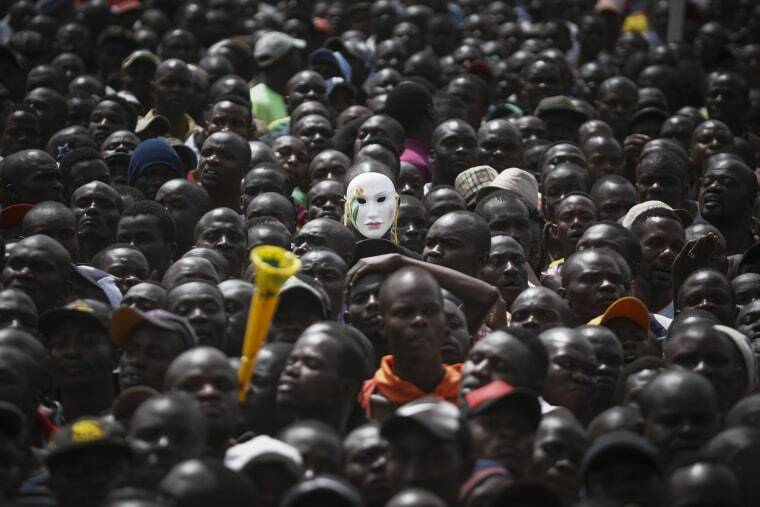 Supporters of Kenyan opposition leader Raila Odinga gather for his mock inauguration in Nairobi on Jan. 30, 2018. In a ceremony that Kenya's government warned would be treason, Odinga was sworn in as "the people's president" to protest President Uhuru Kenyatta's new term after months of deadly election turmoil. 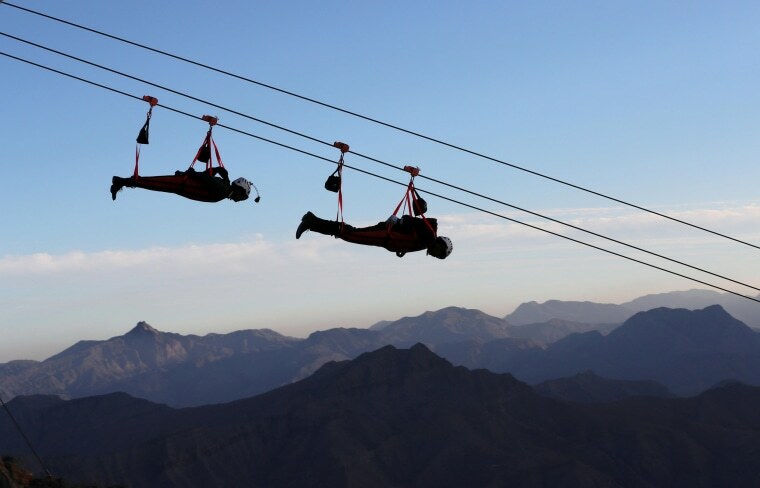 Thrill-seekers ride the world's longest zip line, measuring 1.76 miles, over Jabal Jais Mountain in Ras al-Khamiah, United Arab Emirates on Jan. 31. The Jebel Jais Flight takes adventurers atop the country's largest mountain peak, from a launch pad 5,512 feet above sea level. For nearly three minutes, riders are suspended above the mountain as they glide past rocky terrain. 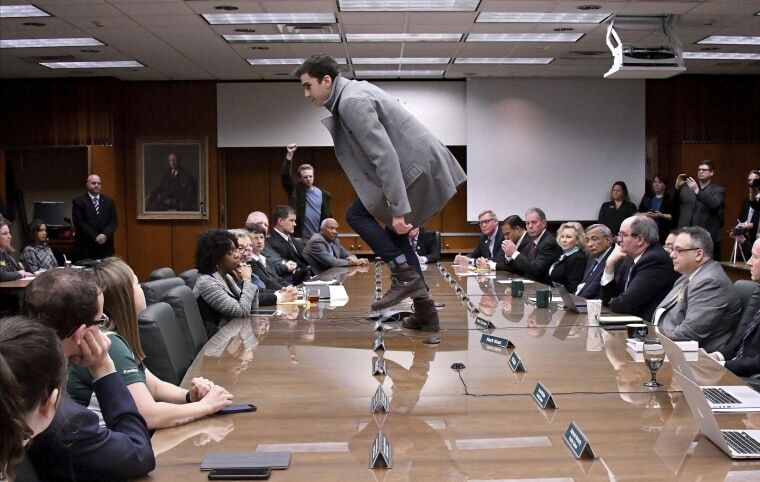 Michigan State student Connor Berry, 22, climbs on the table to protest the MSU board of trustees' unanimous vote to name former Gov. John Engler as their interim president, in East Lansing, Michigan, on Jan. 31. MSU turned to a hard-nosed former governor and alumnus to right the ship following scathing criticism over former doctor Larry Nassar's ability to molest young female athletes for decades under the guise of medical treatment. 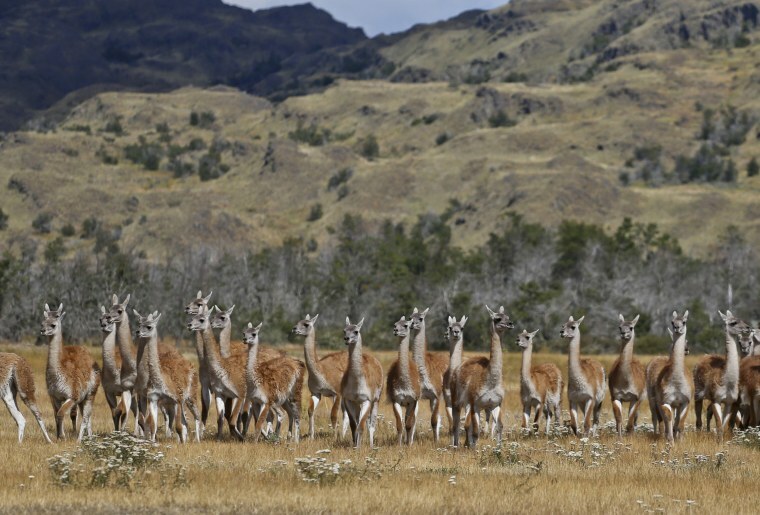 Guanacos line up in Patagonia Park, Chile, on Jan. 29. Chilean President Michelle Bachelet signed decrees Monday creating vast new national parks using lands donated by a U.S. conservation organization in what is believed to be the largest private donation of land ever from a private entity to a country. The land was acquired over a quarter century by Kristine McDivitt Tompkins and her late husband Doug Tompkins, a founder of The North Face. 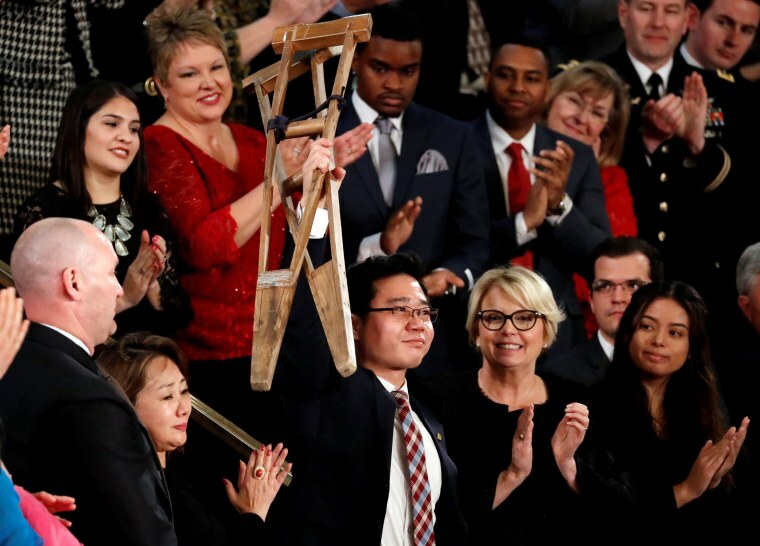 North Korean defector Ji Seong-ho is applauded as he holds up the crutches he used to escape the North, at the State of the Union address in Washington on Jan. 30. President Donald Trump put a human face on the threat posed by North Korea in his address Tuesday, sharing the powerful story of a defector now living in South Korea and the pain of parents who lost their child after his imprisonment. 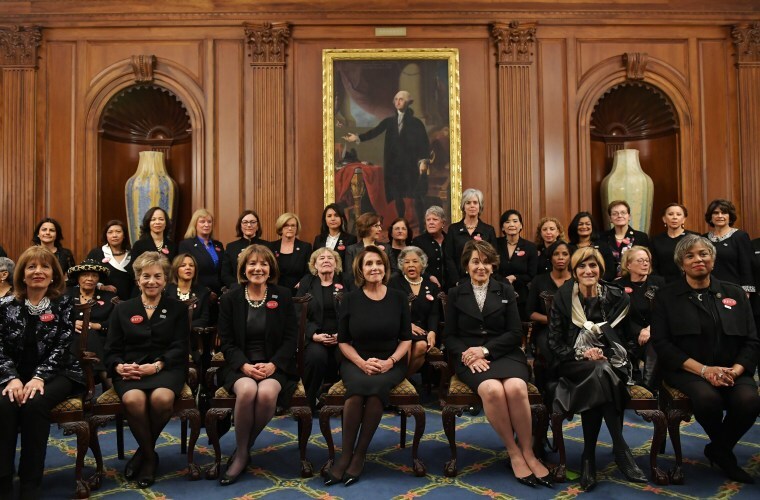 House Minority Leader Nancy Pelosi and other female Democratic lawmakers pose for a photo ahead of President Donald Trump's State of the Union address at the Capitol in Washington on Jan. 30. They dressed in black following the lead of celebrities at this year's Golden Globe Awards, as a show of solidarity with the #MeToo movement that raises awareness about sexual misconduct. 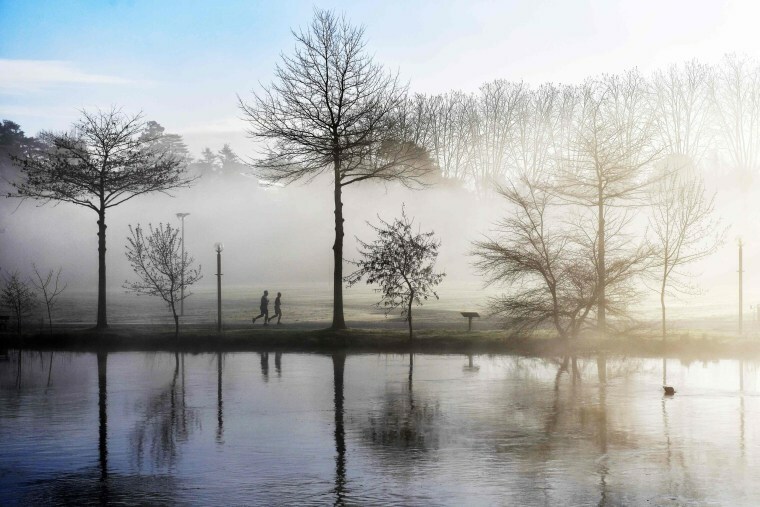 Joggers run along the banks of the Sevre Nantaise river in Vertou, France, on Jan. 26. 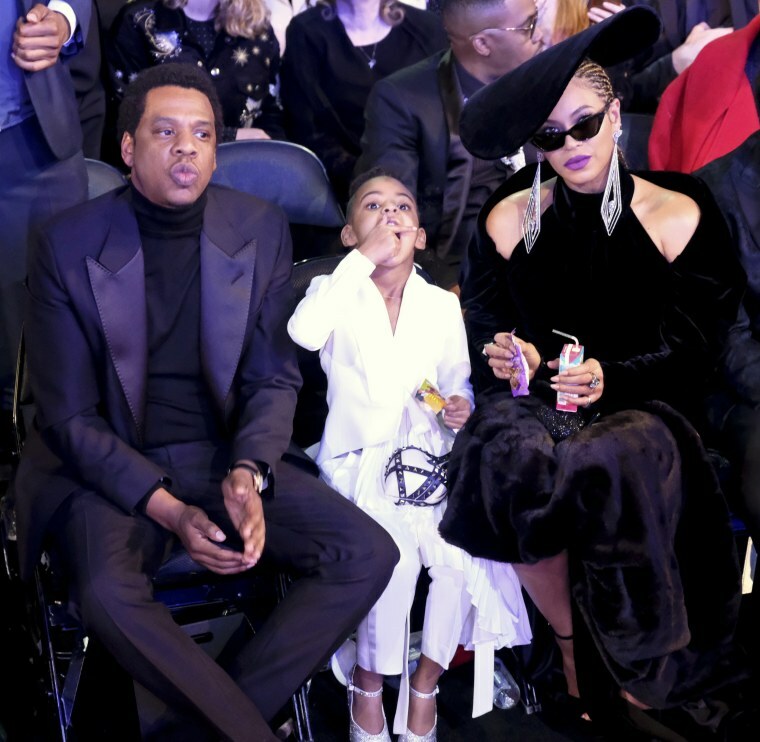 Beyonce holds Blue Ivy's juice box and snacks with JAY-Z as the family attends the Grammy Awards in New York on Jan. 28. Pedestrians cross the Bir-Hakeim bridge above the rain-engorged Seine River as the metro passes overhead in Paris on Jan. 26. 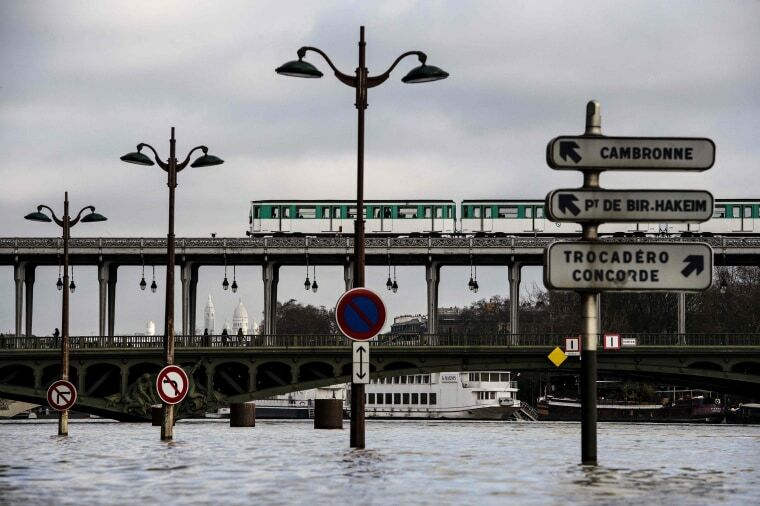 Rivers swollen by France's heaviest rains in 50 years have engulfed romantic quays in Paris, swallowed up gardens and roads, halted riverboat cruises — and raised concerns about climate change. 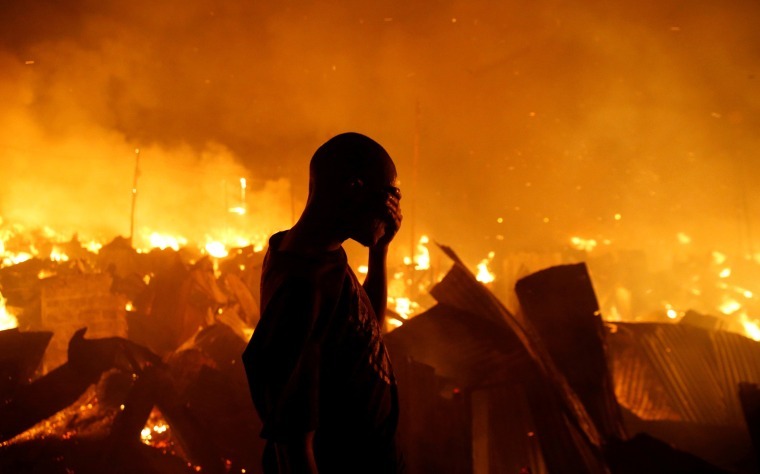 A resident covers his face as he attempts to extinguish a fire that broke out at the Kijiji slums in Nairobi on Jan. 28. 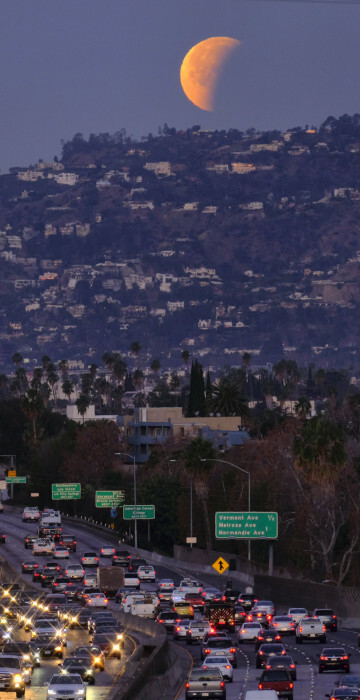 A super blue blood moon sets behind the Hollywood Hills in Los Angeles on Jan. 31. The moon put on a rare cosmic show that NASA called a lunar trifecta. 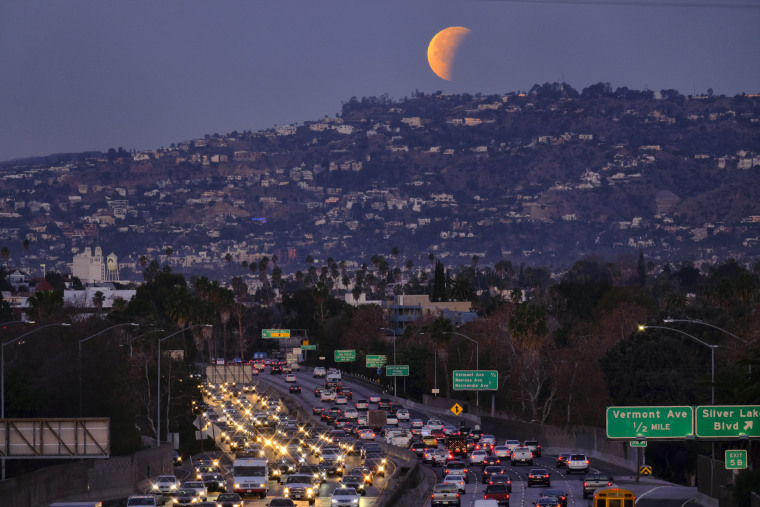 It's the first time in 35 years a blue moon synced up with a supermoon and a total lunar eclipse. 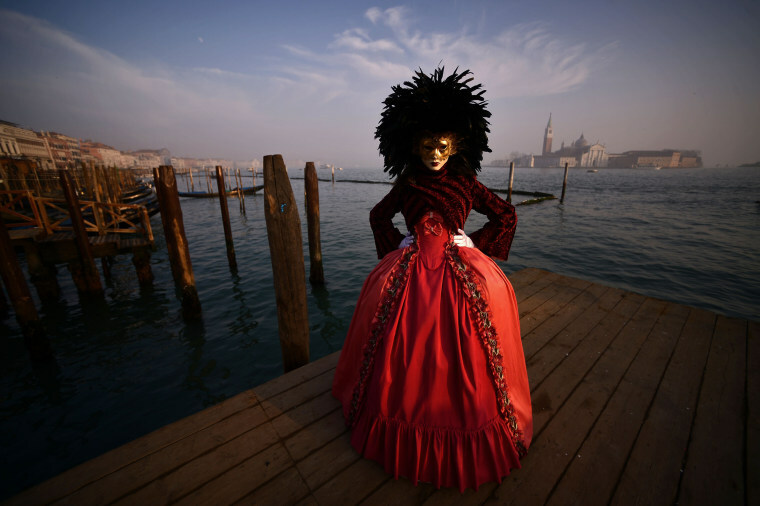 A masked reveler wearing a traditional carnival costume poses in St Mark's Square during Venice's carnival on Jan. 28. 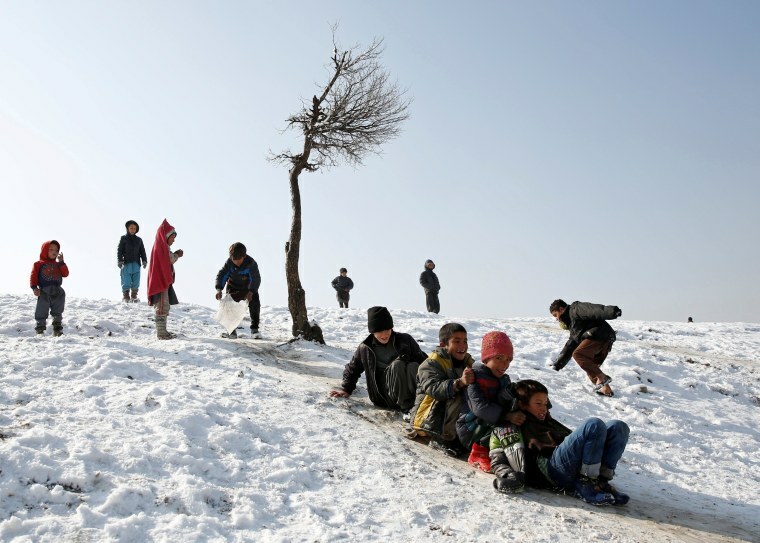 Children slide down a snow-covered slope in Kabul, Afghanistan, on Jan. 30.